Born in Suzhou, Jiangsu Province. M.A. in graphic design, Nanjing Arts Institute, 1988. 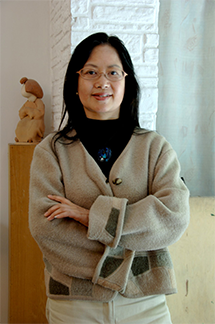 Professor, PHD supervisor of Nanjing Arts Institute . Jiangsu Association of the Graphic Designs Director. Advertising Association of Jiangsu Province Graphic Design Professional Committee Director. Published 12 academic books and more than 30 papers. Works were selected by several important exhibitions both in China and abroad and collected by leading museums and galleries. Awarded silver prize of The 10th Chinese National Fine Arts Exhibition. Active in international graphic design field and was invited as judge of The 22nd Warsaw International Poster Biennial ,GOOD50X70(Italy), Water is life, Energy Effi ciency (Germany)and many other design competitions.